I know this is a lot to read for some but if you want the Deep Dark Truth and Insider Information about T.B Joshua and these high level occultists then you need to read this. If you think that SCOAN is Godly then you REALLY need to read this. Watch these short videos for some understanding. See magic water ritual here. in same power as T.B Joshua. I became friends with a young Ugandan street kid called Eric ( name witheld) after he read my testimony on the internet. I sent him a little money and a Bible and told him that all he needs to know is within these pages. I told him to read, pray and fast. He said he brought some tracts with the first lot of money and some people were saved. I had trouble believing this. But I sent him a little more money just in case it was true. He said some more were saved. He would email me at least once a day to update. We sent him some clothes also. Then he told me he was doing a 40 day fast. Then he did a second 40 day fast a couple of months later. He has done many more than these. Eric began to grow in wisdom and understanding over the 5 years before we actually went and met him and the gifts were beginning to manifest in his life. He had many visions and dreams and could warn me of things that were coming and give words of wisdom and knowledge even from far away in Uganda that were exactly current to the situation I was in at the time. He could tell me things that No body had told him about. And he was doing the same for others whom I put in contact with him. He was reading the Word and praying and fasting and gathered enemies quickly. But he had no fear and spoke the Truth. Men who called themselves believers, had him bashed, robbed, slandered him, incarcerated him, his email was hacked a few times also and houses ( shacks) he rented were brought out from under him and he was thrown onto the street several times but to no avail to offend and end his walk. God was miraculously delivering him every time. While Eric continued in his evangelism and preaching and the stories came back (not just from Eric) of many people healed. The blind seeing, the deaf hearing, the lame walking, the mad and insane restored, and even the dead being raised. Some of the stories I must admit I was having trouble with. But the Lord continued to quicken me to give to this young man. Some came on board but soon left as the incredible stories they thought could not possibly be true. And this had entered my mind also so I did not blame them. But I knew by the gifts that I had seen manifested, that there was Truth involved so continued on with the support. So Eric was preaching in Kampala, in churches and on the street. One day a demon manifested in a woman in a church he was running, but she was delivered and Born again. She was a witch sent to infiltrate and curse and get to Eric, but the power of God overcame her. She was sent by the men who go underwater. The false Apostles who appear as angels of light but were wolves in sheeps clothing. In her pocket were two pictures, she said this was the Jesus they follow and who they serve. And the other was this. These are their gods. She spoke of men going underwater. In their astral bodies. Learning to astral project/soul travel, when I was involved in Rosicrucian witchcraft before I was saved by the Lord Jesus Christ, I had no questions about this possibility. Eric questioned her and she said she was sent by these men and she named certain lakes that the men were using for the satanic meetings and to get their power. Eric went and prayed at the lakes, the local fishermen at these lakes knew of the place they went in. He anointed with oil and destroyed some of the power bases. So they needed to try to curse our little friend again. This time they used a friend of Erics, James Umzing. James wrote to me after trying to kill Eric and was surprised at my reply?!?! Obviously I was a little upset. Here is most of the emails that passed between us. When they talk $$$ they are talking US Dollar amounts. I place the emails in the order I received them from those involved. Mainly Eric, James and myself. Greetings to you all in the name above every name in Jesus mighty name, Amen. we have not met before and this is my first time to write to you; however i saw your picture and your wife hang in Eric house in the wall frame; Eric has been a good friend to me and a young man with the love to serve God. of late i admit the devil trying to use me to destroy my own future and i wrote to Richard about it few days back. Richard said you are too close to Eric and he gave me your Email address; i have been sick with the entire family for about a week. after failing to get treatment and my children we prayed and i saw a vision of what the devil deceive me to do about this young man.Eric is a good friend to me and i know most of his plan and secrets but in 2009, devil entered my house in my ministry; had wanted to build a church and a certain man of God, whom am not going to give you his name for security gave me $200,000, he has connections with some pastors in USA and UK, we build a big church and God has blessed our ministry we have aver 5000 members in the church. in the middle on 2009, Eric is my closet friend; this man arrested Eric and put him in prison but after two days he won the case and was set free. since this man is also my friend; he called me and told me Eric is a young man but spoiling his name and the name of his church. He gave me $30,000 to poison Eric. 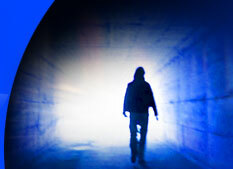 i went to his home, but immediately i entered Eric's room my eyes closed and i could only see darkness. had wanted to take Eric out to get time and to sponsor our meal and drink and believing God to get the opportunity to put poision in his drink. We had made plan to allow someone to call him and move out to pick his phone; i went with Eric but i had fear that i will kill my friend but i had the money and this man of God love me he connected me and got money to build my church. when his phone rang, Eric move out and received his call, but he came back and order for another drink and i paid i do not know what happened up to now. Last year Eric went to Kenya and prayed for a certain lake, my boss was so annoyed with him and again he gave me money and promised to buy me BMW car if i poison Eric, or to talk to him and change his ministry and get for him open door for his church. he had money to built for Eric church but Eric refused. since then i have been trying this young man but have failed. recently i even tried to block his wedding but few days later i felt sick and i saw a vision taht reminded me i was doing the wrong things. He was using me, ask Eric to forgive me but do not tell him about this message i only want God to forgive me. i even have fear for my own life now! James Umzings boss. Samuel Kakande. and God will forgive you James if you truly repent. The man you are speaking of that supplies the money is not a man of God but a devil agent. He is going underwater for his power, that is why he wasn't happy about Eric at the lake. And you have sold out to him and satan and all you have that you call of God, has come from the enemy. Mat 16:24-26 Then said Jesus unto his disciples, If any man will come after me, let him deny himself, and take up his cross, and follow me. Luk 16:13-15 No servant can serve two masters: for either he will hate the one, and love the other; or else he will hold to the one, and despise the other. Ye cannot serve God and mammon. Eric is a true man of God, not desiring money or fame or any worldly power, but Gods power. A true Apostle if the faith, very rare, but the Lord works in him powerfully. And all who come against him come against the apple of Gods eye. Zec 2:8b for he that toucheth you toucheth the apple of his eye. Luk 10:19,20 Behold, I give unto you power to tread on serpents and scorpions, and over all the power of the enemy: and nothing shall by any means hurt you. Mat 24:23,24 Then if any man shall say unto you, Lo, here is Christ, or there; believe it not. and it is a very dangerous thing to come against True men of God. So it would be very dangerous to turn on Eric again. not in the riches of men, but of God. Luk 12:31-34 But rather seek ye the kingdom of God; and all these things shall be added unto you. Deu 10:16-18 Circumcise therefore the foreskin of your heart, and be no more stiffnecked. Heb 10:29-31 Of how much sorer punishment, suppose ye, shall he be thought worthy, who hath trodden under foot the Son of God, and hath counted the blood of the covenant, wherewith he was sanctified, an unholy thing, and hath done despite unto the Spirit of grace? but the Lord knows what we need and you have actually been blessed, because it has been revealed to you the True nature of our God. Let this work for you James, it's called the Fear of the Lord. Pro 16:5-7 Every one that is proud in heart is an abomination to the LORD: though hand join in hand, he shall not be unpunished. Psa 1:1-6 Blessed is the man that walketh not in the counsel of the ungodly, nor standeth in the way of sinners, nor sitteth in the seat of the scornful. I think God forgive people! I do not need anything from you and not asking any assistant but you talking as if I asked for help. I am sorry but this is not how servants of God should write to children of God. I never wanted to reply this kind of words but my friends allowed me to write too. Eric has nothing and we are sure he won’t go through with his wedding if he continues with such words to people; we want to help him but behaving like a boy. I will never get any closer to him anymore. I wanted to help him and gave him free motorcar which he can not afford to buy, I was ready to clear off his problem of $13,000 for his wedding budget but he refused my free money and the motorcar! I need nothing from Eric I have many friends, there are over 5000 people in my church how about Eric. You have sold out to Satan James and your end has already been determined. Praise God, i am sorry, am sorry, all you wrote to me its happening in my life now. i am sorry and requesting you all to forgive me Peter, Eric, Richard forgive me. i have lost what i had because of my bad friends. They have supported me but now i have no peace i have money in my account but i cant even eat food now, i had no strengthen to write but today i have strength i cant even drive my own cars now, i have lost my properties, i am sick, am the first to run mad in my family because of money, i went under water, under ground looking for money but now it cant not help me. i have already disconnected myself from my bad friends and willing to start new friends. My Friend Eric i am sorry for all i have done to you, its because had wanted money, i have build two big houses through the money i have got from my friends to finish you up but now i cant even sleep in my own house forgive me. i am ready and willing to take back all the money i have in my account and hand back the houses i have build using the money they gave me. i want to become a new christian today, Eric come and pray for me and lead me afresh to salvation with all my family. My church was build by my friends, through their connection in USA and UK, i think they all do the same thing. i am ready to stop ministry in that church and hope to start praying in a new church let someone take over my church now. You are playing a dangerous game James. You have read these scriptures before in my last email. They are THE WORD OF GOD!!! What are the names of the other ministries in Kenya, The two in Uganda, and Tanzania, India, UK and USA that you are connected to? The Lord is the one striking you. No man is doing this. So you need to repent to Him alone. It is He who you need to ask forgiveness from. Ask God to tell you what you must do. Is a man called T.B Joshua in Nigeria connected with Kakande??? Do you know or have you heard of him? He runs Synangogue, Church of all nations. Is he going underwater also? They are the ones Eric. I was just attacked in a dream by three men and a very large demon dog. ( It was so ugly ) I would be careful. James has wrote, i will forward his email. Hey, daddy I am sure Pastor James is willing to come back to his God, today he went and prayed in our fellowship and he was actually very humble but monitoring him daddy! He has three smooth stones round and black. And a black Bible at his home, he called it deliverance Bible and was given to him by Prophet Tb I do not know him but Kakande connected him. Its seems his time has comes to return back to God now. He has actually spoken to me about his boss and what he dose but when I get transport I will disappeared and pure anointing oil in those places By God’s grace and they will remember one day. God is faithful yesterday we went for a prayers overnight and we normal go for this prayer every last Friday of the month and every other Friday’s night we prayer in our fellowship prayer room. This time Pastor James and his wife came and we sat in the same taxi that takes 32 of us for prayers overnight. Five of our ministers led prayers and I was went alone praying with James and Pastor James spoke to me a lot of things and the covenant he has entered into he drank blood but its not clear of what kind of blood. James has really entered into a covenant but I believed yesterday demons left him in Jesus mighty name. He told me about three different lakes where they get power and we prayed about it together. We came back home at 6am this morning and I rested but that’s when the Lord spoke to me, God instructed me to go to Lake Tanganyika on 7th and manyanra, I am sure I will find a way to go there daddy. The Lord has won back James he has stopped using his vehicles and now planning to rent a house and start staying when waiting from God, he wanted short cut but he is paying for it. Dear Pastor Pete, Brother Richard and Pastor Eric, i am sorry and will never allow Satan to sue me again. I didn't know that i was following a wrong man, he has blessed me and i was blind but now i am seeing. Yesterday my eyes open more in prayers over nite, i admitted i am sins and have done so many bad and evil things but i didn't know but what Pastor pete wrote to me opened my eyes and i knew i was in the wrong hand. i have prayed and repented i am willing to be apart of you people; Eric was my good friends but Satan deceived me. i am ready to tell you all my testimonies and what i went through. We were instructed not to repent but yesterday was my first time to repent again after four years. For over three years we drink water from church, we were served with water and distributed every weekly service and Sunday service the water we keep in the fridge and you only add unto tap water but the one we bought are called living and clean water got from Lakes. we were all distributed three small dark stones and a black Bibles, we go together with our stones and Bible, every time we go under water we are instructed to go deep and pick three stones for the next journey and you throw the three stones into the water to open way to go through before jumping into the water. the places we go under water so many people are there and we also pray to god. He normally comes and instruct us, and we present our prayers request to him. there is a woman called queen wealth, she only drink blood not water. We have a lot of money but my life is more than money, i had no peace for two months and My wife is not a wear of all these things. i go alone every months on 11, these stones allow us to go at any time but from 11 day of the month. i have burnt some of my things given but i fear some of my friends will kill me now and queen wealth pray for me. It is a good thing that you are repenting. Repenting is not a one off thing, it is an ongoing process. A daily event. We can upset the Holy Spirit and He will leave us. So we are given this warning. Some have given up of repentance and their conscience is seared. So if you have truly repented then it would be good to expose the workings of the enemy. The Word of God tells us to do this. Eph 5:11 And have no fellowship with the unfruitful works of darkness, but rather reprove ( expose ) them. Do you know what will happen to these decievers on judgement day. The road is narrow James and I know my letters are hard but they seem to have brought some correction so Praise the Lord for that. I don't care if you don't like me much, but I do care where you will spend Eternity. I want it to be in Heaven with the Lord Jesus Christ. Thanks man of God, i want to start new life with new friends, i also want to wed my wife next month now, after many years but i believed its the right thing to do so. Continue praying for my family we were all lost! by the grace of God we shall still come back and do greater things.I have one big challenged now my other friends are on my neck. I was invited by one of my friend and kind of refused to make it. We normally go to Kenya at the beginning of every month to get water for blessing and miracles water but this time i couldn't make it and my friends are asking what has happened? one of my friend wanted to give me but i refused and reported me to my pastor and now we are not in good term pray for me. Well done for resisting your old friends James. that is excellent. You will find that they will become enemies once you decide to follow Christ. Luk 6:22,23 Blessed are ye, when men shall hate you, and when they shall separate you from their company, and shall reproach you, and cast out your name as evil, for the Son of man's sake. Jesus experienced this. Eric has and I have and many who choose to obey the Lord alone. And you will also. The enemy will harrass you so be aware. Man of God i am sorry for all i have done, my friends do come to my home daily and asking me many questions but i have decided to stay focus and taking care of my family, i suffered for about three months non of my friends help me now i am fine and i know the cause of my suffering. i have made have up my mind never to go under water to look for power or blessing in the first place we used to go for others because you want people to see you moving in power and miracles but at the end of it death will come, either i preach in power or not i will die one day so i am ready to wait on God's power not under ground or water power. i really want Eric to start trusting me, he has been a good friend to me for so long but now he fear me! James, you must understand that you never went under the water for others, it was for your own self. Your own pride, Your own ego, Your own vanity, and for your own glory. Just like Simon the Sorcerer wanted power, you did too, and sold your soul to the devil. Your motives were wrong. I had a dream James that the 3 stones were tied around your neck still. You must totally renounce this because if you fall again you will probably not recover. Eric ( name witheld) knows the way. Man of God, i read your message and so encouraging, i am ready to start new life, if there is away i can repent then help me and do so. i have changed my phone number with fear not to communicate to some of my friends. Yesterday something beats me up, burnt and i got out of sleep and discovered my body burnt with fire! i do not know how. i know all i have done but for the last three weeks i haven't torch anything and asking for forgiveness i have burnt every things that i have got for blessing, i bought it at $17000 an image of queen wealth, now i have burnt it and i do not what it any more. i am not sure if this is the caused because i am too been burnt in the night. Continue writing to me and if you have some Christian books, help me i want to be strong. We all have battles in the Spirit. All true believers do. But we can not lose. But sometimes we get beat up if we are not on the right track. The Lord allows this. And it may have been the refining fire of the Lord also burning out the wickedness from in you. Get on your knees and ask God to forgiveness and ask Him to protect. We will pray for this also. Ask Him what else He wants you to do also and He will tell you. And the best book to read is the Holy Bible. King James Version. You don't need books, only one. Also if you can download on mp3 and play in your house the Bible, ( new testament ) it will keep the spirits away and start to bring peace. Just be patient though. It will take a little time. Bit by bit. Subject: Hope all is well daddy! Praise the Living God daddy and mummy, i am fine and doing well only that money you sent took long to mature, it has matured today and i have just clear off Hotel bills this morning of about $98, a lot of thing happening here daddy, i have a plan to fly to TZ, due no buses over the weekend and its take about 12 hours traveling by bus so had wanted to use Air way but money took long to mature, and now remaining with about $100, Air Ticket is $145 to TZ, i think this will block me to travel to TZ as proposed due transport cost but God knows better me ready to travel! James went to my home yesterday and he was asking for me according to my wife, two of his friends are in trouble due school demons and some parents want to know were about their children. James is now hiding and he fear he could be arrested any time from now. about 24 parents are claiming they haven got information about their children and where about. this might cause them trouble in short time according to his statements. James Umzing and these men ran these schools. They were training grounds for the witchcraft they were involved in, but the Holy Spirit moved in. Maybe the Hornets. And as you see, they were powerless to stop it. Dear Pastor Peter McMaster, pray for us and i have repented but no help, three headmasters from different schools we have been operating were rested yesterday due lost of some students and i am sure they are alive but must be under water, some students are agents and we have opened for all of the account number and we do deposit money in their account. after study they becoming full time agents when their parents are not a wear but now there is a problem, some could be in Tanzania and Uganda, my friends came to me yesterday i never wanted to talk to him and said out of the 24 students all the 15 students was rejected from Lake Tanganyika in Kenya and they are free to go to their home. but the one in Tanzania can not come out, we use to ask the queen. Some of the people arrested has reported their boss Kakande about his work, even though he too close to the government, his friends has reveal many secrets about him before the law in cluding pastor James. Pastor Samuel Kakande of the Mulago based Synagogue Church of All Nations has been exposed as a pastor with excessive libido after he recently walked the aisle the fifth time in just 10 years. The pastor who calls himself a prophet shocked his followers last Sunday when he paraded a cute light skinned Phillipino as his 5th wife and showed pictures of his secret wedding to her in Manila, the capital of the Philippines. Kakande took many by surprise when he married secretly a saucy Philippino in Manila town, only to introduce her to his followers during the last Sunday service. The lavish wedding took place in one of the prominent churches in the Philippines. The bride has been identified as Popanes Citia, a famous businesswoman in that far eastern country. The shock is that Kakande has wed for a fifth time contrary to any church’s teaching where an individual can only wed again after the death -and not just divorce- of his or her partner. Last Sunday Kakande paraded his latest catch to his followers after delivering his sermon during the service that ended at about 8pm. The believers jubilated and burst into hymns soon after the controversial pastor had introduced his new catch. Praise Jesus daddy, i am sad to say this Pastor James died this afternoon daddy he was set free on police bond and went to his home two days ago. According to his wife he went for a meeting in the night (i think he went for their own meeting with his friends and he never reveal to his wife) he came back late in the day very fine according to his wife but he went to rest due they went for the meeting in the night. The wife made food and went to call his husband to come for food at 2pm and found him lying on the bed dead. She can not tell where his husband went and now he is dead. To me i am sure James was killed by poison daddy because he has made a statements revealing their secrets to some people and the ........ is connected to some of his friends. I am sure he died for telling the truth daddy. (So James Umzing was killed for his betrayal to the underwater men. But that wasn’t the last time they tried to kill our little friend Eric. Dear servant Eric Okello, I am glad you wrote to me this morning! We only want to support your work in the Lord! The money is ready waiting only your details. God spoke to us to build churches in Northern Uganda and we want to be in partner with you. If you sent me your account details money will be ready next week around 8th August 2012. We shall take you for baptism in Israel for a week as Jesus was also Baptist we shall take you and witness the power of God and where Jesus was Baptist, we shall move round to meet some of our friends and see how they are doing in ministries. We know how much you love God, my friend said you the right person so I have trusted you already. Forward this message to Eric in case you are not Eric. Praise God Pastor Eric; i am very sorry i am kindly asking you to forgive me, i know i have done many wrong things but i was forced to do so! i am kindly requesting you if you read this message forgive me. i had a car accident few days when you wrote to me last month and you cried because of me i am requesting you to forgive me. my legs!! i have a big problem but God appeared to me and said i should ask you to forgive me. i am now out of hospital but still with much pain i didn't want to tell you this, when you went to Kenya we went to the room you were sleeping but we saw the hotel guard and we went back we wanted to poison you! people used my own money to pay the someone in the hotel to serve you with food and i used my money US$20,000. Pastor Eric so many people are against you, they said you are hard and difficult to be understood, but i now know you a servant of God. i am requesting you to forgive me and delete this message. i will write to you when i am fine and tell you everything. That’s not quite the end of this episode yet. There was more to come. One thing I have learnt is that Judgement falls very quickly in Africa. And if God wants to clean something up He does. Good morning Pete, pastor closes to Kakande and having churches or over 15000 members in Uganda and we know him as a false prophet died in road accident in Uganda many people feared him with three white pastors. Eric was happy about this message and he told me you gave him some money to go and pray in water where they used to go. He warn Eric that he is young, with a lot of thing, Eric use to fear them but three of them died at once and some white men. TWO American evangelists are among four people, who perished in a Thursday night accident along the Jinja-Iganga highway. Dr. Reos Godzck, fellow citizen Leos Both and their hosts namely Bishop John Michael Mugerwa and Ronnie Ssebunya died after a trailer crashed their vehicle at Kakira at 7pm. According to Jinja police spokesperson, Samsom Lubega, Paul, the driver of a Toyota Super Custom in which the deceased were, attempted to overtake two fuel tankers. “As he overtook, he realized there was oncoming traffic so he decided to squeeze into a narrow gap between the two trailers,” Lubega stated. Owing to humps on the road, the trailer in front reduced speed and Paul followed suit, Lubega said, adding that in the next few minutes, the trailer behind rammed into the Super Custom. Godizic, Both, Mugerwa and Ssebunya died on the spot while Paul was rushed to hospital in Jinja. The police by Friday morning could not establish his state. A fire brigade team from Jinja had to cut the wreckage to extract the bodies. The remains were taken to the city mortuary in Kampala. From Phoenix, Arizona in US, the two Americans were here on the invitation of Mugerwa of Fast Assemblies Church located in Nkere zone, Katwe Makindye Division, Kampala. Earlier in the day, they had attended a crusade for married couples in Namutumba district. Saidi Nyogolo, the driver of the killer trailer disappeared but the police apprehended his colleague, Hamasi Kaizera. Kaizera disclosed that their vehicles contained jet fuel, which they were driving to Entebbe. South Eastern traffic chief, Washington Labeja, who assessed the accident scene, attributed the crash to recklessness. The vehicles were towed to Nalufenya police post traffic police continued investigating the tragedy continued. Accidents are among the leading causes of death in Uganda. Thousands of people perish in accidents annually. So the high level witchcraft that is used to deceive believers is in full swing in Africa and the world. There is a part two to this story. With a sad ending for another Ugandan friend who fell into the trap that is set for the unwary. And it will reveal who the main player is if you don’t know already. I waded through many emails, I kept them all, and have used what I have found for this story and hope that it is all easy to follow and pray that it brings much understanding. There are things I have left out and things probably missed but I hope you get the main thrust of what is happening here. The devices of the Devil run deep. But if we are to discover the fullness of God by His spirit then we have nothing to fear and will become a fearsome adversary to the Devil and his kingdom. Exactly where I want to be. And I thank God for our friendship with our mighty little Ugandan mate, Eric Okello and for much, much more He has done in our lives. I prayed a couple of days ago after thinking about young David bringing down Goliath and asked God if there was a Goliath I could take down with one smooth stone. Soon after I felt very strongly the urge to put all of this on paper and here it is. The first stone aimed towards the temple of the Giant, and I have just let it fly!!! I have loosed the stone, now to cut off the head. Hello. Here is the story of another who has died coming against Eric and working for the underwater Men. This was a man called Richard Emyedu who was helping support Eric then turned against him after joining T.B Joshuas group, because he believed that having as much money as he liked he could make a difference. But the money was cursed and he fell into the trap of following another Jesus and then persecuting a true believer. I am amazed and the swiftness of judgement in Africa. When God says, touch not my anointed, He means it. ( Like when two catholic priests died on the way to the police station to stop the Otwal Crusade in North Uganda that we held.) Heb_10:31 It is a fearful thing to fall into the hands of the living God. So Richards life fell to pieces and he could not be talked out of following the money and the false God. Satan hates failure and I believe that the witchcraft that gave Richard the heart attack in the end was sent by the satanists toward Richard and God had removed His protection. Here is a scripture that most of the Church doesn't want to know. This story is also in 2 Chronicles 18. God has had it repeated for it's importance. 1Ki 22:20-23 And the LORD said, Who shall persuade Ahab, that he may go up and fall at Ramothgilead? And one said on this manner, and another said on that manner. And there came forth a spirit, and stood before the LORD, and said, I will persuade him. And the LORD said unto him, Wherewith? And he said, I will go forth, and I will be a lying spirit in the mouth of all his prophets. And he said, Thou shalt persuade him, and prevail also: go forth, and do so. Richard was only a young man of about 35 and had a wife and 2 young children. She left him after he started praying with candles at midnight and doing all these rituals and things that he was shown by the satanists. I am amazed at how strong deception is when it takes hold. And strong deception is not only in Africa. See 2 Thess 2. A definate warning that will go unheeded by most. Richard was our friend and named his two children after Poss ( My Wife) and myself, when Eric prayed for his barren wife to bear children. He believed that the anointing Eric has came from me but I believe it came from Erics fasting and praying and reading his KJV Bible.. He went to Erics wedding also and was a good friend to him. I had been in contact with Richard for around 5 years and seen his giving to the work of God and his downfall. I know many think T.B Joshua is a good man but he is dangerous and evil. We both tried to talk Richard out of where he was going for around 18 months but these emails are the most recent. When he tried to give the money he recieved from Joshua back, he couldn't and he got sick. He was willing one day and like somebody else the next. Then maybe like Judas, he stepped over the line of no return. I am not sure where that line is but it exists for sure. Christianity is very dangerous when we think we know it all and have it all. 1Co 8:2 And if any man think that he knoweth any thing, he knoweth nothing yet as he ought to know. So here is the leader of the gang. His church, SCOAN is on 24 hr TV in Africa and there are many miracles coming from them. They are very rich and build many churches, through which they lead many into error. 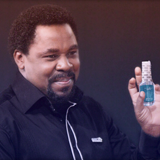 T.B Joshua with the anointing water, that can give you all you desire, even the salvation of your soul. I have enlarged the print on the bottles. If you know your bible you will be shocked at the claim, but many do not and so follow the demonic to their own destruction. Here is some basic scriptures of how we are saved and when and how blessings will come. Not by sparying magic water everywhere. The trouble is the everyone wants shortcuts. T.B Joshuas shortcut will curse you and bring destruction into your life at least and send you to Hell will be the end and Satans desired result for you. Now we start with an email from Richards telling us of how he knows that God is protecting him, because of prayer and his obedience. Good Morning Pete, how are you? Eric said you are in another country at your father's home! Pete our God is good, we were ambushed by Al-shabab in Somalia hria road and they fired bullets on us killing three people and injured 4, i was the only one who servived and this is really God. i was in the middle, the driver shot from the arm but he drove us out of the ambush before he collapesd but he is alive he lost blood. thanks for prayers and this is what Eric told me in March Pete that he saw me in dark road and many people were injured i remember i wrote to you. thanks, i am fine and now resting home for sometime. Subject: Re: Good Morning Pete! i am planing if i get a job in Uganda we shall go back but God is keeping us Pete. So he loved Eric and knew that he was blessed and we kept in contact lots. Richard was telling us that he was getting involved with these men who had lots of money and they were building lots of churches in Africa. These were the men who tried to kill Eric. But Richard wouldn’t take any notice, he was blinded by dollar signs and fleshy good works. So we tried to warn Richard and he even knew that things weren’t right, but open the door to deception and it can be hard to remove. I am only putting the relevant emails here, there were many more exchanges. Richard had just received $50,000 US dollars from Nigeria for Eric but Eric refused it. Good morning Pete, I want thank God for all of you for all your support and time writing to me when I was lost in the bush. I discovered that I was out and I just survived from the mouth of the Lion. Eric wrote to me two days before I got the money and said something was not right with me he talked of a vision he saw about me! But I don’t remember his vision but it was something to do with my personal life and my family, after few days Eric became wild on me and told me not to support him in anyway. Few weeks later I felt sick and almost run mad but God delivered me. Every time I asked Eric to pray for me he only tells me I should refund the money that was deposited in my account the $50,000. I became hungry with Eric because he wasn’t caring for me that was my thought. Few weeks later you also wrote to me that I should pay back the money I have received! I thought you had planned with Eric not to help me. I used to see bad dreams to make life difficult there were many lizards I could see in the vision. And fighting many bad things, some time driving very dirty black cars, I could not work. When I contacted Eric and refused the money for the fifth time and instructed me not to speak to him on phone or to write to him, I went and refunded back the money to the sender. Three days later we went into prayer and fasting after Eric said if I had paid back the money I should pray and fast for three days, I did but I never wanted to hear from Eric since he thought I was bad and refused the money yet I got the money for his ministry; my life changed instantly but still I dint know what I was held up and what happened to me all that was in my mind was that my work mate has done something now improvement since I was at my home in the village Docolo District. On 11th January 2013, I was invited to go to Nigeria to attend a conference for 2013. In the conference I saw some people that are really bad but Pastors and I used to fear them but they didn’t know me but I knew them since they are public figure in Uganda also in the meeting the was about how to win souls!! But what I saw was different, there was a pool with six lizards and everyone was instructed to wash their legs in this pool. It was a six days conference but I took off on the first day. I discovered I was wrong and people were going to use me to harm Pastor Eric. I do not know how I should talk to Eric but I will try. So when Richard tried to give the cursed money back, he came into trouble, which he blamed on witchcraft from Indian men who he worked with. He took no notice of anything Eric or myself told him. Subject: Pastor, if you can pray for me! Pastor Pete, if you can pray for me please pray for me. something is happening to me some Indian are jealous of me at work and they have bewitched me! i wrote to Eric to pray for me also. if i have done wrong forgive me and show me the right way. i tried to go for work two time but I get off the road. yesterday i almost knock my son. my car can not move on road now. Some many things crying in my head, i keep seeing bulls surrounded me all the time. they do not want me to go but to only rotate around. everytime i get in the car i see three bulls in front of me. yesterday i saw bulls in-font of me; i tried to reversed and my son was behind i thought i was knocking bulls but that was my only son. i don't sleep in the night! i hear many things crying, my house keep moving round; bed just rotating whole night. i will leave this job and go to China next year with all my family. I want to support some churches with this money, i am not sure where to forward this money to since Eric refused! i have contacted TB about it and he said i can use the money to support the work of God. He only want to meet the pastors i will support with this fund. Eric just has a bad attitude toward this gifts Pete; am working hard to help him out. I will be in Uganda around 22nd but i am still not very fine, we are praying and fasting. My wife is seeing many visions but all her visions not good. We are too praying about it. i will gather some Pastors in my home village and meet with TB, i have never met TB but home to meet him this Christmas break. he seems not a bad man Pete; i have some of his video. The who were against Eric i know them. I am not sure if Richard paid back the first lot of money. He built 3 churches for these men, usually from donations of $50,000. There are many of these throughout Africa. They think to be rich is to be of God and the bigger the stomach, the house and car, the more blessed you are. Guess where they get that from?!?!? Pete, thanks for writing to me once again, I thought I am alone with my battle but this message has really encouraged me; I didn’t want to tell anyone but because of these scriptures you wrote I am going to speak out. I am in a trouble that I do not know how we shall sort it out. Its now three weeks no communication in my house; my wife want to leave me!! I explained everything to her failed to understand me. She said went I went to Nigeria I went under water. She is scared about the money I took few months ago and I returned it back, she just wants to divorce!! She asked me to go Eric’s or to call Eric home pray for our family few weeks ago but I cant do this since Eric won’t listen but Eric is someone my wife would listen to. I do not know what will happen next. I have got a job in China through some friends but my wife only saying I want to kill her. Pastor pray for my family and if you can write to my wife Agnes I will forward your message to her. She has no email address . So Richard continues with these men and the secrecy surrounding his life was too much for the Wife Agnes to bear. Richard was torn between his family home and his friends and the money. And it was destroying him. Good morning Pastor Pete and Poss, hope you had a good time in Uganda, this is Agnes, I am asking you to pray for my husband, he is sick and it's now coming to two months! he dose not want me to tell anyone including Pastor Eric and he stopped me from communicating to him. I respect him but I feel we need prayer. Richard has build now 4 Churches in Dokolo and in Kyoga through support from his friends, but since he is not himself, he dose not tell me his plans! sometime he is hard on me. He has his own room and he dose not sleep in my room! He only pray at midnight he buy's candles in boxes and he dose not put light when praying but only candles, when i asked him; he only tells me God instructed him to do so. I am confused and i want to go back to our home. We have everything in the house but no peace Pastor. Pastor pray for us. I didn't have your Email address but today i got access to his Email, he is not around for two days. I don't understand my husband. Do not reply this message I am deleting from sent message also but pray for my family. Good Morning Pastor Pete, I never wanted to write but I must say something to you and to Pastor Eric, If i have done something wrong forgive me!! I have no peace, my wife left me with all my Children! Its now four days I do not know where she is now. Pastor Eric remember how we were close to each other, let's talk. It's now coming to seven months you don't pick my phone calls. since I last met you in 2011, on your Introduction day. A reply I sent to Richard. walking in the flesh and thinking it is the Spirit of God. renounced, and will be a major battle ) and I am sure the the Lord will work it out. in due time, there is no shortcuts. When we run ahead there is nothing but deception and delusion that may await us. So Richard keeps asking for help, while still involving himself deeper and deeper into the occult activities of this group. But the money kept coming so the soul ties to the ungodly were strong. Pastor Pete and Pastor Eric, I know I have sinned and now I have have lost all my family; its took me almost two years to realized what Pastor Eric told me. In September 2012, I planned to come and meet you in Kampala but I never made it. I tried to send some money to Pastor Eric but some one was using his Email address, I think I was the caused of it because I gave Eric's email address to someone in Nigeria; he wanted to contact Pastor Eric! but just after few days I heard about what has happened to his Email address but I could not believed he is a bad friend. When I lost my family i cried, but I have discovered something was wrong with me. In my prayer room I was instructed to leave my windows open when praying and a woman is not allowed in the prayer room. My wife wanted so much to see my room but I had my key with me, at mid night I was instructed to set six eggs together and put candle in the middle, and I was instructed to pray at mid night to 2:00am. My window to leave open for the blessing to come into my house.I gave some of my friend my account number but after every month when I check my account i could find more money in my account so i continue in prayer. one day Pastor Eric told me exactly what I was doing but he said he saw a vision! I was scared but I thought God wanted him to know what I was doing since I have been supporting him years back, I wanted to send him money but he refused and stopped communication with me. Last week, I went to Nigeria and I was instructed to go and be friends some Pastors around me including Pastor Eric! I asked he told some pastors are against us!! I came back home, when I was praying, in the middle of the night using candle light I discovered there was a snake just close to me and that was like a friend to me. I shouted for help. today I am sure I am not following the right way. Pastor if you can help me so that i speak to Pastor Eric, I want him to help me get back my wife. I have build three Churches complete but now I want to tell the Church also. Pastor Eric blocked my Email, I cant send him any message even his phone. I called him yesterday on a friends phone but he was too hard on me. Thanks you Pastor save my Family. So Richard was told to get close to the pastors that this group wanted to infiltrate including his friend Eric and lure into the web with their financial enticements. All the time being warned and with prayer and fasting going his way, there was a battle. I sent some links to Win Worley booklets to my email list and this is Richards reply. ( Win Worley preaches repentance and forgiveness and much deliverance.) These people are told not to repent. Repentance is offensive to them. They just spray with the magic water. They were now offering Eric $250,000 US. A massive amount. Yes, Two Hundred and Fifty Thousand USA Dollars!!! Mar 8:35-37 For whosoever will save his life shall lose it; but whosoever shall lose his life for my sake and the gospel's, the same shall save it. Subject: Re: Win Worley booklets. messages are not good and demonic. He told me not to read his messages. I think this man died some years back according to him. Anyway how is Poss and the ministry, I am recovered. Pastor pete, I am concern about Pastor Eric and i don't feel comfortable to see him suffering, i have two Children because of him and your prayer. Recently we collected good amount of money would really help Pastor Eric own a house and support his work of God. We collected with friends people around us US $250,000. I told him to come to my home but he has refused, should I return this money back to people who have raised this fund, I have pastor Eric in my heart and I feel he should have a better life. If possible talk to him and I can send him the money or I may give him ATM card for easy accessing to the fund. I will be going away to China next week. yourself. Do not run to men for an explanation because thay have lots of money. That can even distort a lot of understanding. You have spoken yourself of knowing these are wrong but you are snared like an animal in a trap. And you are getting used to the cage. Joshua is not a bad person as people think when you go to his Church you will find all people praising and worshiping God! What many are jealous of is the way God is using him. When you watch his programs on TV you will realized that he is actually not a bad man. I used to think that way too but I have got to know the truth after some time. Tell Eric only to refund my money since I am bad I want to leave him alone! I have lost my family!! I found him when he can’t even afford food for himself but now he is talking bad on me. I will put him on pressure until he pays my money now and I am going to send him this message. Richard then wrote to Eric and this is Erics response to me. I sent this email to Eric with the response I sent Richard.. I just wrote this reply to Richard this morning Eric after he wrote back after he read about the Win worley books. This is why he is angry. I am tired of him not hearing us too. He is full of demons. You cant and dont have to refund what he freely gave. That is ridiculous. would run from that person. Eric will never take your money Richard. The men you are in association plan to kill him. He is exposing their wickedness and you need to wake up also. They will lead you to damnation if you continue to follow. Here are a few emails from Eric Okello. The man they so desperately want to control or kill. He calls me Daddy after I helped him off the street. Subject: Re: Richard called me! Oh, I was wondering why he became so angry and annoyed since I don't communicate to him now. God spoke to me about Richard last year and I told him everything but he dose not understand! I have no more words for him, I have done my part; let God do his part now. If he want his money, I will pay God will surely set me free from him. Subject: Re: Another Battle has started Daddy! Daddy, I strongly believed that these men are using Richard to convert young Ministers and Pastors to expand their Vision to win souls in their demonic Kingdom. But using money and properties! If you want to that Richard has changed talk to him about the Holy Spirit and Called Jesus Christ to him. He only called Jesus. I think he feared Christ now! Then this one, Eric mentions a Pastor called Kafeero. He had a church near where we were staying in Kampala. Funded by outsiders, most probably T.B Joshuas group. But he invited us in 3 times and I preached on repentance, forgiveness and witchcraft and the occult symbology of the US dollar bill. He then invited me to speak to the group of Pastors that were in the area. But some were from the wrong churches and weren’t happy with my message it was about the evils of money and the dollar bill witchcraft mainly, with repentance and forgiveness basics.. Within a week Kafeero was sick and dead about 6 weeks later. Richard, many demons entered him and demons controlling him. The only good thing is that God revealed to me at the early stage! and these men are wondering why I am not close to Richard Because they though he was my everything. i can sleep outside but I will have life. This is how they killed Kafero if you remember, he received the blessing and opened doors for the devil, just at night, the man never fall sick but demons killed him like that. I am poor but my Spiritual antennas are up, he can not take me to prison for what? if I will leave the house at God's appointed time. I heard many words but God is with us. I am praying for Richard, that something may happen bad to him so that he may run back to God; like a prodigal Son or Lost Son. Something will happen to him just for him to come back to his sense. I don’t have to stand up for Eric, it seems that praying like he spoke about ( this was the first time in 6 years I heard Eric say something like this) was Richards only hope. I was praying like this also. Luk 20:17,18 And he beheld them, and said, What is this then that is written, The stone which the builders rejected, the same is become the head of the corner? But Richard became very proud and angry. The fruit of the deception was beginning to manifest in it’s fullness. These men brought many houses that Eric was renting and threw him onto the street and his family. The anger of Richard reached it’s peak but Eric was always calm, knowing His God. Subject: Today I visited Police again! God is God and He is faithful, today I remember some scriptures and I have discovered, every word in the Bible will surely come to past. Richard wanted me arrested the same thing Pastor James did to me in 2009. When he got his friends and they advised him to do so. This time was different; I was called to report to Police, I didn’t know why! But on reaching I found the one I used to say my friend there and he really forged statement and words against me. He said I have told his wife to leave him! And now he is suffering and I am spoiling his name. Above all he claimed he borrowed me US$ 2100 and because of that I advice his wife to leaved. On hearing the statement I asked him simple question! I asked him if the evidence for his has claimed! And he says yes (He has printed some of the Emails) they never allowed me to talk but I told him, I am ready to go to Prison and told him; I will still serve God in Prison. After about two hours, one Police man told me I am innocent. Richard tried to forge a statement but failed and they set me free me and only advised to clear his money. Richard told the officer that I have no money to pay him so I should go and work for him to clear the money for one full year he said. I promised to pay his money, and I know God will surely make it. This was the last I heard for about a fortnight, then this email came today from Eric. Richard had died. Subject: Hope all is well with you and the family! Richard Burial is today, I am going to attend his burial too. the Doctor said heart failure problem, pray for his wife to be strong. But that wasn’t enough for the Devil. Subject: Prayer for Richard Son! Praise the Lord God, four days ago one of Richard Son, ran mad, Okello Francis Pete! Some demons were really disturbing him just running and doing much. Agnes called me and yesterday we prayed for the boy he is now fine. Pray for God's protection upon him; it's seem his Father covenanted him. But he is free and we are covering him in prayer. And the Enemy of men, never sleeps. Greetings in the name of our Lord Jesus. I am a servant of GOD, i want to appreciate you for all you are doing toward serving God, we had a two hours meeting last week about one of our Brother whom he is resting now in HEAVEN Bro. Richard, Richard had a Vision to support pastor Eric and they were close friends, he had placed request of US$50,000 toward supporting Pastor Eric but we got the money later after when God called him back. We contacted Pastor Eric few days back about the progress and how Richard requested us to support his work. He turned us down by refusing the offer, since this collection was made for his ministry, can we wire this found to your count then you forward to him? Richard had left your contact with us and said you are directly supporting him but you with the work he is doing. Thanks get back to me. So here is a scripture to end this sad season. I have said all that needs to be said. And just one more email to show that the devil never gives up. Praise God pastor Eric and Fisherman; I great you in the name of our Lord Jesus, how is the work? Pastor we want to have a good partnership with you in reaching souls! We can support you financially; our vision is to reach out souls. We are willing to offer you free Air Ticket. One of the great man of God in Uganda prophet Kakande recommended you to us. We tried to get you on phone and vain. Can you come to Kampala and we arrange! We need to serve our master together. We shall support you to build churches and supporting you financially with monthly salary. If you get this message, reply to us, not sure if you getting our messages.